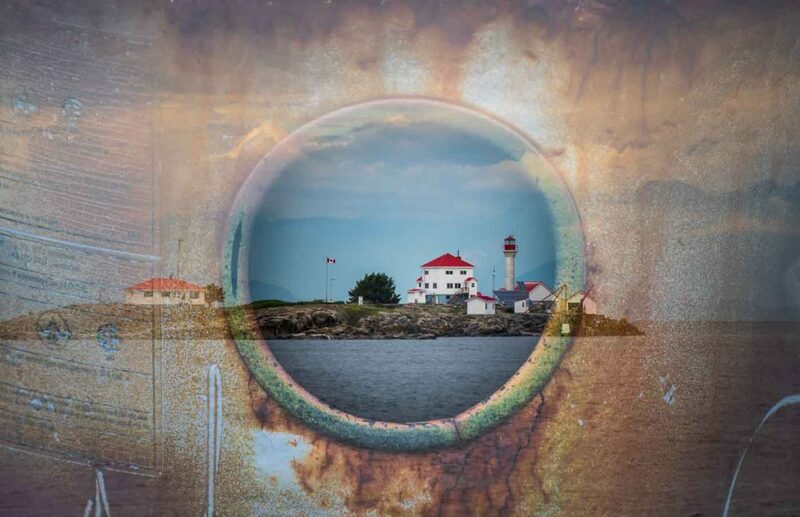 A 7-day creative photography workshop in one of three unique BC locations. 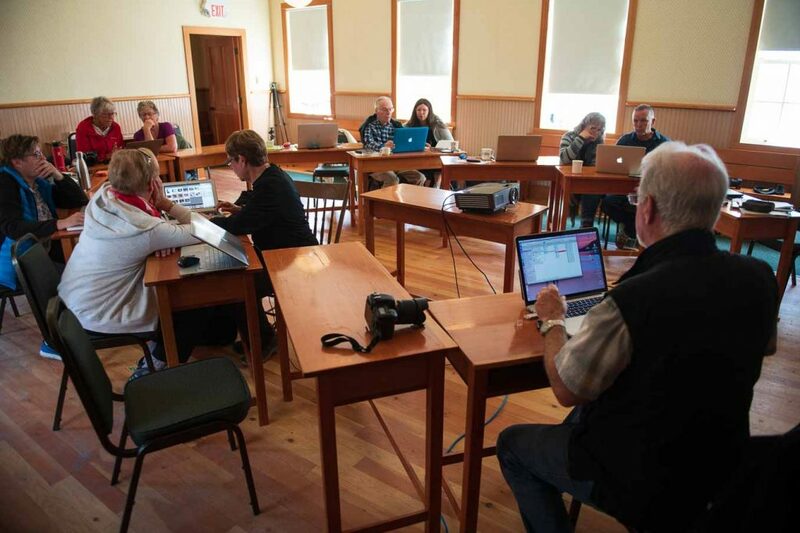 is a 7-day workshop for photographers. and practice them in a supportive environment with ongoing personalized coaching. By exploring the potential of our photographic toolkit, you will learn to see and visualize in new ways. Together we will journey into the unseen worlds of expressive art. • an isolated location, free of distraction, so you can just photograph for seven straight days. • locations that are rich with photographic opportunities, right at your doorstep. No time lost to lengthy travel. • independence from the weather. If it rains, there’s no end to the indoor options. • comfortable accommodations, plenty of food and friendly environment. 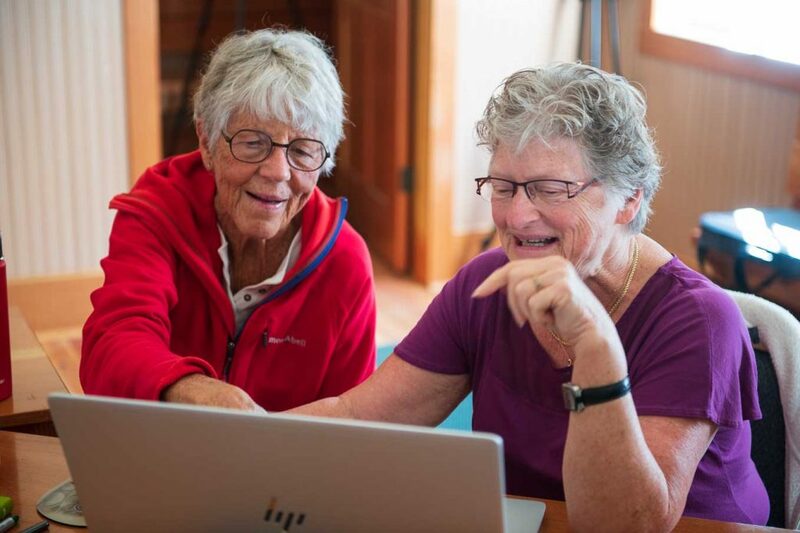 • daily group instruction, image review and individual coaching. Visit a place with unlimited potential for creative photography. Stay long enough to make lasting change to your creative vision. 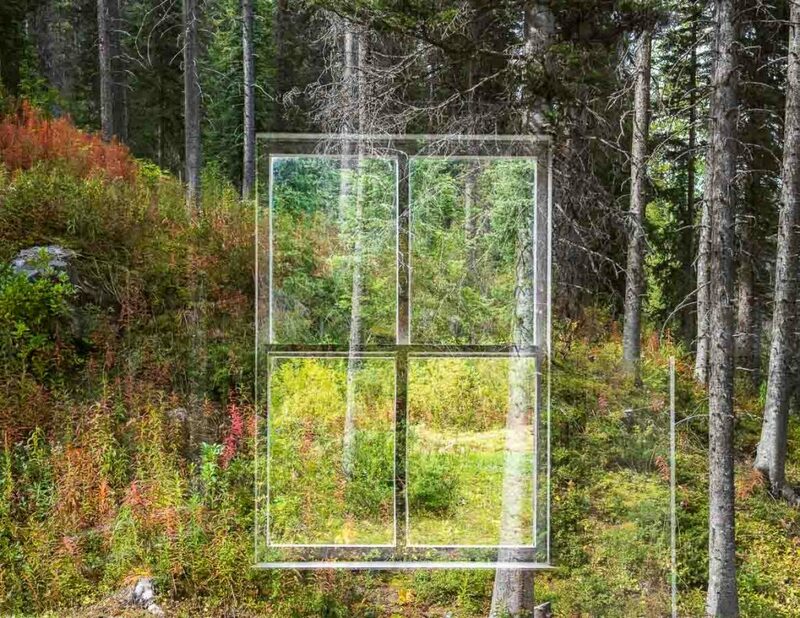 Looking through a new window can add creative ideas to your photography. 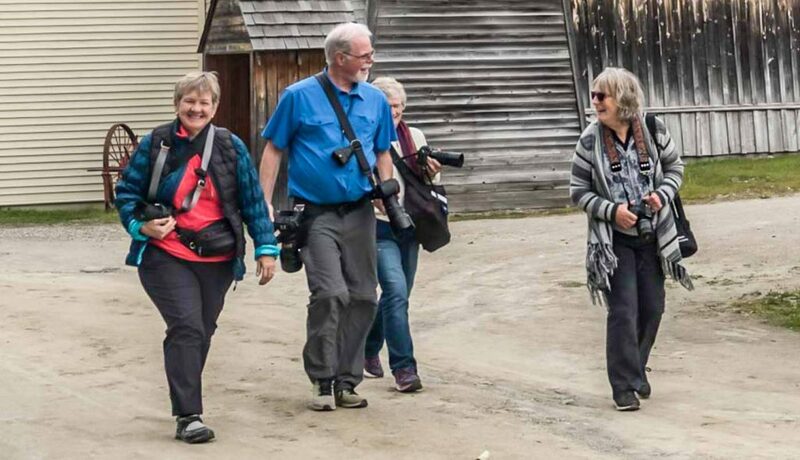 A group of photographers, full of inspiration and enthusiasm, head out with cameras in Barkerville. Our Bella Coola headquarters. 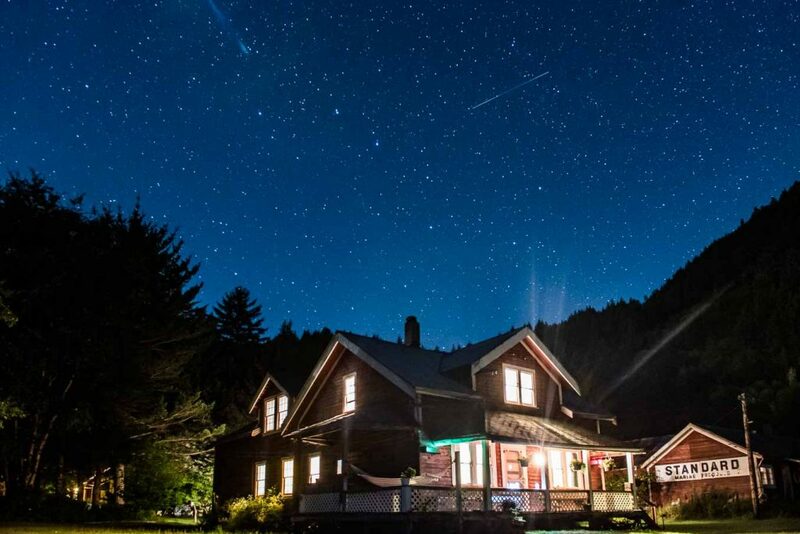 This building, decorated in 1930s style, accommodates our group and models for us under the stars. A classroom session is a daily event during the workshops. 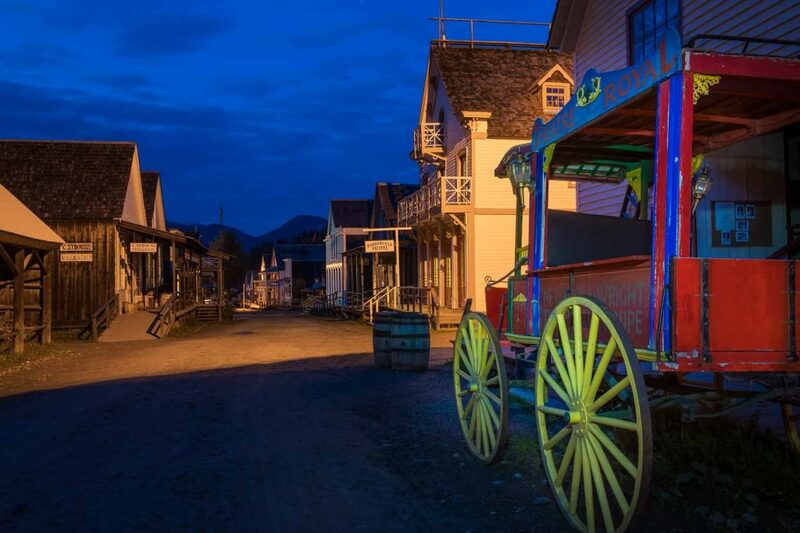 Barkerville lends itself well to night photography. A little light painting was used on the stage coach. 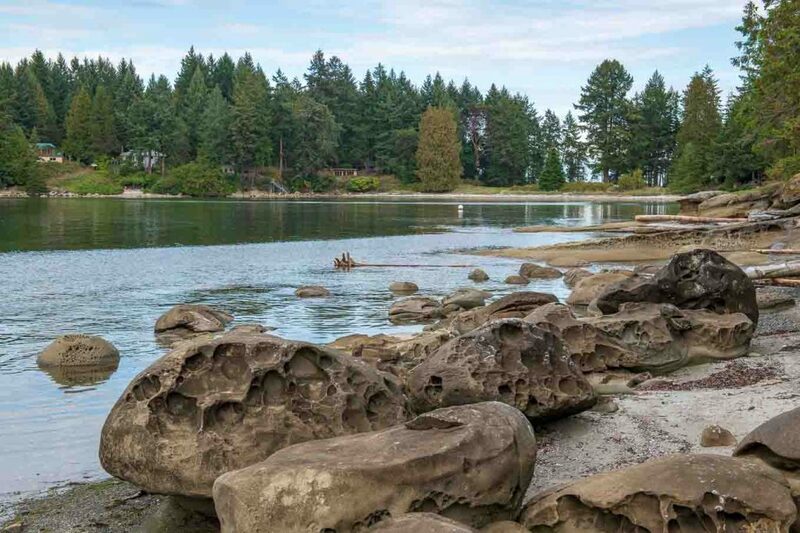 Our Gabriola Island workshop has unlimited coastal scenes. This is a long exposure image. 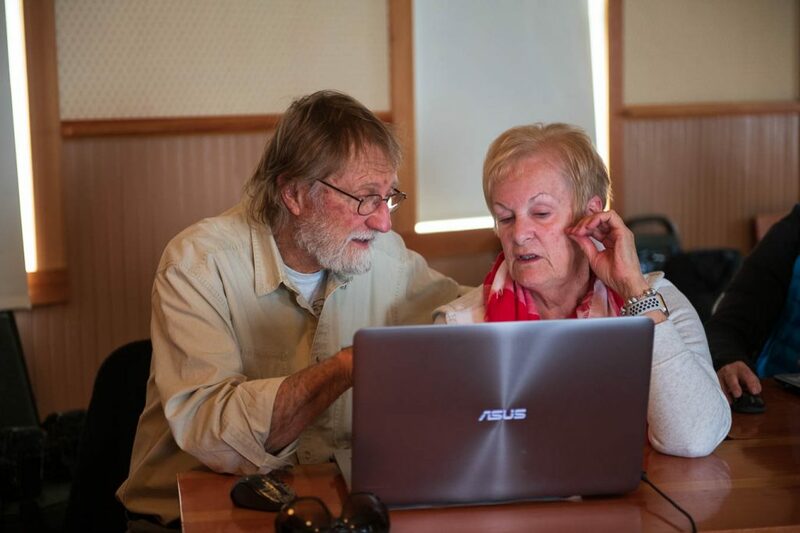 Individualized instruction at the computer or with your camera is a daily feature of our workshops. 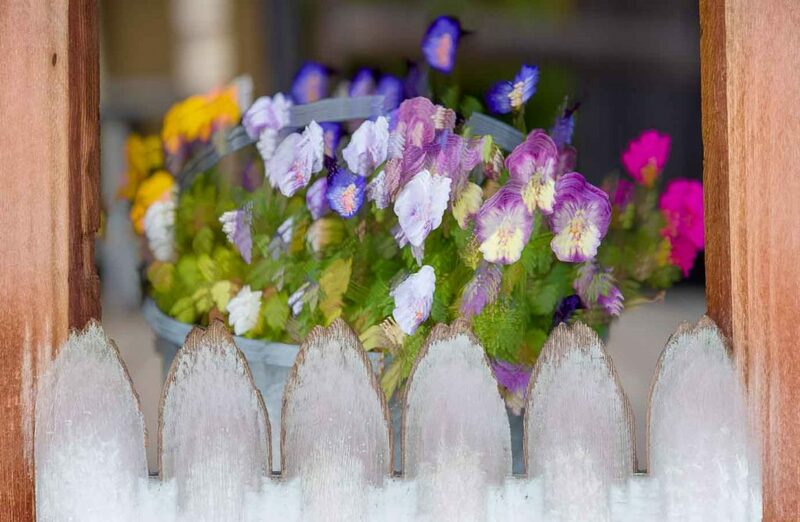 An impressionistic view of a flower display. Created in camera using 10 multiple exposures. 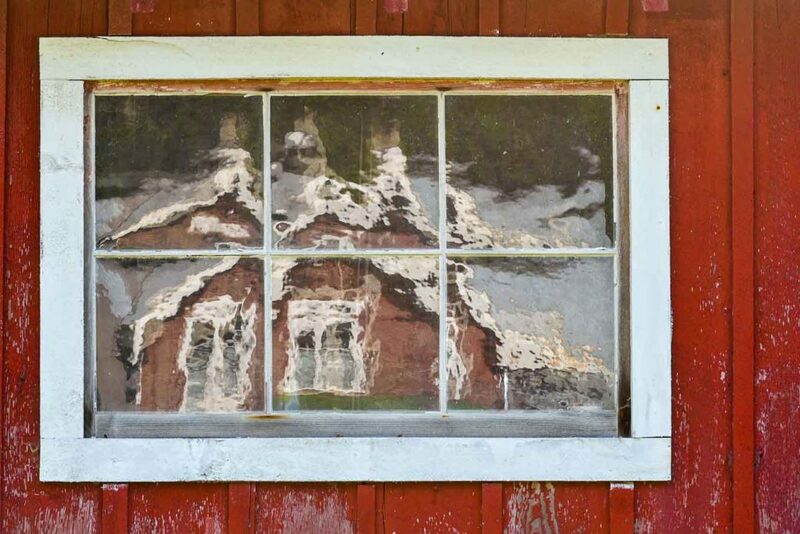 Old style glass helps to create an interesting reflection of our location at Bella Coola, BC. 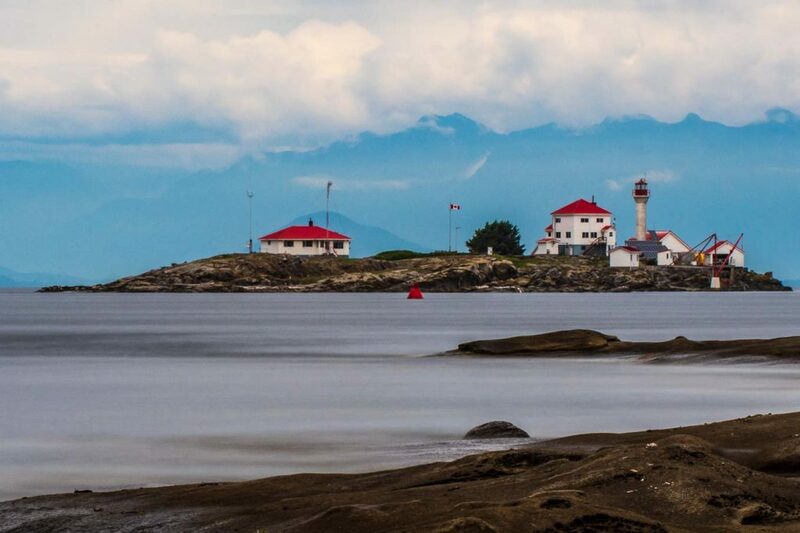 Our Gabriola workshop is located right here! The beach is at your doorstep. 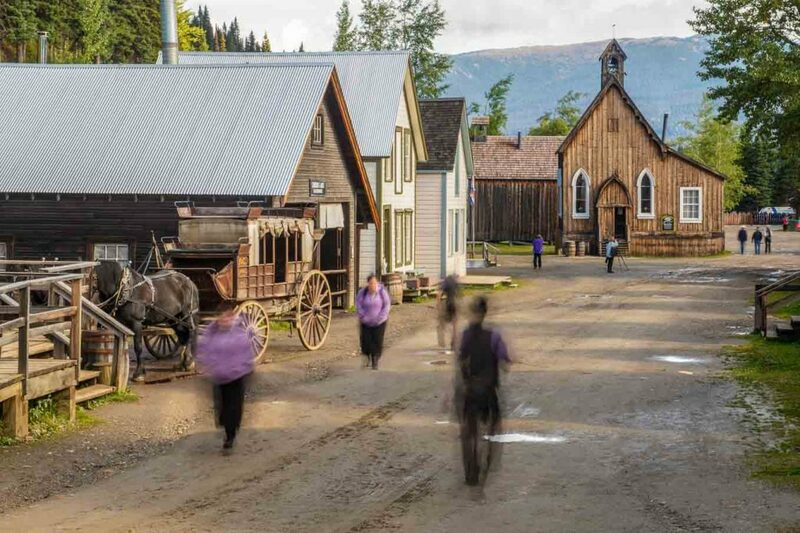 The main street of Barkerville provides infinite photographic potential. Photographers freely share their expertise and help each other. 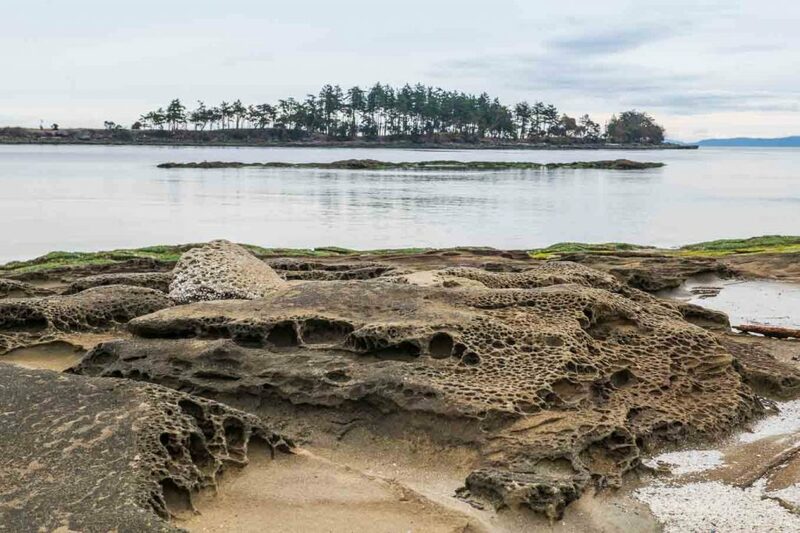 The amazing sandstone formations common to the Gulf Islands fascinate photographers.